PKR Poker has become the most successful 3D Online multiplayer Poker site on the net. Players will get the feeling of being a lot closer to the real game with the 3D views and angles of the Poker table and other players. PKR Poker offers a variety of Online Poker games which include Limit and No Limit Texas Hold’em, Omaha and Omaha Hi/Lo. PKR Poker offer payment methods to suit all their players and include Neteller, Visa, Visa Delta, Visa Electron, MasterCard, Moneybookers, Click2Pay and iDeal. PKR Poker has a dedicated team of representatives that are available 24/7 to answer any queries their players may have via email and live web chat. PKR Poker launched their website in 2006. 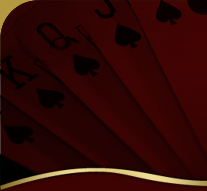 PKR Poker offer one of the highest Online Sign up Bonuses. New players will receive 100% match bonus, and will be given the chance to play a freeroll Poker tournament with huge prizes. PKR Poker offers some of the widest variations of Online Poker tournaments, such as Speed and Turbo and Short Handed Tournaments. They also offer other variations which include Terminator, Phase and Double Thru Tournaments, just to name a few.